So you are asking yourself, “my key won’t turn in the ignition, what do I do?” The best thing to do is to keep everything simple. Below are simple solutions that you can use to solve the issue of a key that will not turn in your ignition. Some of the seemingly simple fixes can get complicated, so be sure to keep your eyes out for anything that increase the difficulty of your needed repair. The most common reason that a car key will not turn is that the steering wheel has locked. This will happen when the steering wheel has been moved after the key has been removed from the ignition cylinder. Turn the steering wheel to the right and left. Note what side the wheel cannot be turned to, and the direction that has give. Pull the steering wheel in the direction that has give, and hold it there. Turn the key toward the accessory position while keeping the steering wheel turned. If nothing happens, rock the steering wheel as you turn the key. If this does not work, rock the steering wheel as you jiggle the key in the ignition. You can mix and match with the methods of turning the wheel and moving the key. As soon as the key turns the steering wheel will unlock, and the car should start. If the key does not turn, then you may have a more severe issue. A very prevalent cause when a car key won’t turn in the ignition is that the keyway of the ignition cylinder is a little jammed up. Just lubricating the lock may be enough to solve your issue. You will say that WD40 is often the go-to example for lubrication of any kind, but I would not recommend it in this case. It is a classic debate in both the locksmithing and the lock picking hobbyist community as to what the best lubricant is for locks, so at the risk of starting a controversy, I will recommend either using a silicon or graphite based lubricant. Essentially, you are looking for something that is not going to collect dust, grime, and particulates over time, which will eventually jam the lock’s internals to a greater degree. You can use WD40 as long as you are going to be changing out the ignition cylinder after you turn the key successfully. When you are going to replace it anyway, it gunking up further over time does not matter. Gather your lubricant, key, and cloth. Spray the lubricant into the keyway of the ignition cylinder. Wipe away the overspray or anything leaking from the keyhole. Insert the key and turn it. If this does not work, jiggle the key. If this does not work, add more lubricant and repeat. In cases where this goes minutes without working, lubrication is not the answer when your car key won’t turn in the ignition. Beyond lubrication, you might need to try something more severe to unjam your lock. It is true that bump keys do not work on cars, but by using a hammer or a vibrating mechanism and your key that won’t turn in the car, you might be able to solve your issue. This “rapping”, if you will, is meant to shake internal components in the lock into the proper position. Springs can get lost, or other small parts of the inside of the lock can get stuck. Where lubrication can fail to unstick or get things to move properly, you can shake things temporarily into positions, just in time to turn the key properly. The tool that you use does not need to be a hammer. It can be anything that can create a noticeable vibration that can be applied to the key and/or the cylinder. The idea is just to get the inside of the lock to move more than you could by shaking your key, car, or dashboard. Place your car key in the car’s ignition. Use your tool on the key while trying to turn the key. If this does not work, try to use your tool on the ignition cylinder. Just be very difficult about the amount of force you use in this process as you could damage your key, the ignition, etc. If you are trying to hit your key hard enough to break a locking mechanism, operate with extreme caution as your desire to break things might be more successful than you intend. Sometimes the problem is with the key you are using, and addressing that particular point of failure is the only option for solving the issue when the ignition key won’t turn. If the key is broken, all hope is not lost. Sometimes you can fix a broken key. This is not always the case but it is possible. The most important part of this process is figuring why your car key is not working. This will then allow you to discover the many different ways the variety of complications can be solved. As long as you can get your key out when your car key won’t turn in the ignition, you should be able to investigate the car key. Try a spare car key, and see if a different key will work. Compare the car key that won’t turn in the ignition. Look at the bitting on the blade of the key for any wear. Examine for any twists, bends, or breaks. Fixing the key can actually be very simple, you just need to know what is wrong. If the issue is not clearly visible, assume there is something wrong with electronics. The most simple fix when there is something wrong with your car key is to just replace the key. There is always a way to copy a broken key. No matter how the key is broken or whether this is something you do yourself or a task that you contract out, there is a solution. There are several ways to approach this process. Find an aftermarket electronic car key and choose a way to have it cut, and perhaps have a transponder chip programmed. Buy your supplies and get your service at the lock and key section of your local hardware store. In terms of how much it costs for car key duplication, the number will go up or down depending on how much you do yourself. Contacting your dealership being the most expensive option as it is the most obvious and requires no real time into research. Contacting a locksmith being the middle ground in terms of price, and handling all the work yourself being the cheapest option. If the problem is not with your key, then the reason your car key won’t turn in ignition might have to do with a faulty ignition cylinder. You will likely not have to replace the entire ignition assembly. And unless your car does not start when the key finally turned you will not even need to undergo ignition switch replacement. As long as you buy the proper ignition cylinder, ignition cylinder replacement does not have to be complicated. Make sure you are buying the right product for your make and model of vehicle, and understand that this process will leave you with an ignition key that is unique from your car door/trunk key. Rekeying will be necessary to remedy this issue. This can be done with some of the methods listed above (2 or 3, mainly). Find the locking pin on your ignition assembly. Use a tool of the correct size to depress the lock pin. Pull the old ignition cylinder lose. You might need to shake the ignition cylinder loose or finesse it out of its housing. Insert your new key into the new ignition cylinder. Fit the new ignition cylinder into the housing. Allow it to lock into place. Test to see if the car will start and the key will won’t turn in car ignition. It can get a little hairy if you cannot use one of the methods above to get the key to the accessory position. If the key will not turn in the ignition, period, you might have to take the steering column apart and this will cease being a simple solution. When you start out by saying, “my key won’t turn in the ignition,” you might end up saying, “I need a locksmith”. A locksmith can help with any issue where a key won’t turn in the ignition of a car. If you are worried about how much a locksmith costs, know that it should be more reasonable than other avenues of professional help. 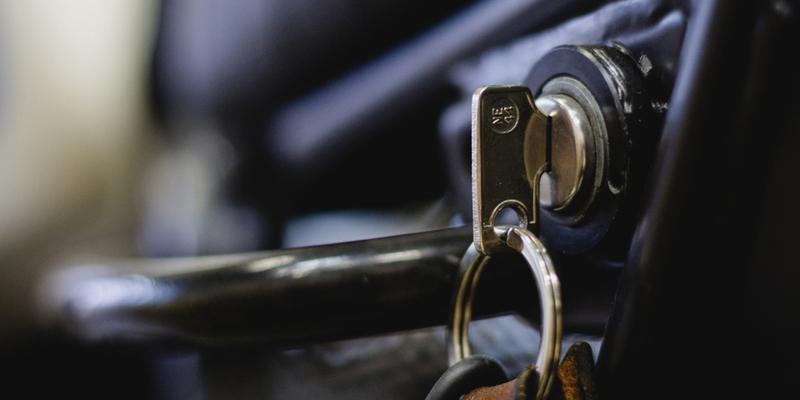 There are three main reasons your ignition key won’t turn, and we will get into how a locksmith can help. For something as simple as your steering wheel locking, it is not likely to be essential for you to contact a locksmith. It would behoove you to be very patient with performing the process described in the first section of this article (Turn the Steering Wheel). 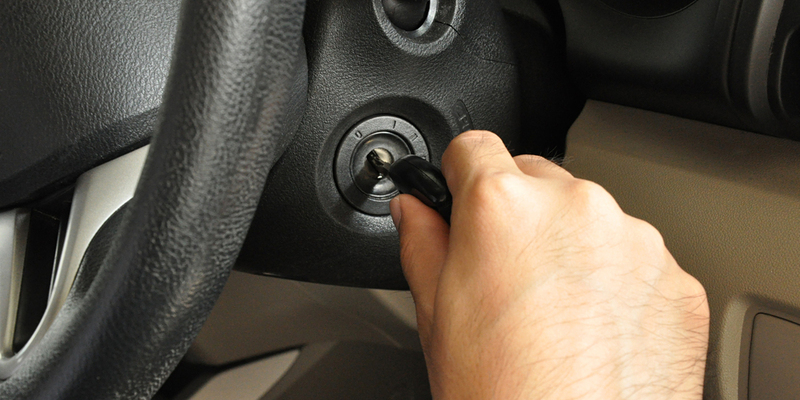 If you have a new car, it is unlikely that the key or ignition has worn out. But if there is some evidence of a break-in, the reason your ignition key won’t turn might not be something as simple as the steering wheel locking. In this case, if you cannot unlock your steering wheel and don’t know why your key won’t turn in the ignition, this is when you should call a locksmith. When there is something wrong with your car key, a locksmith is often the best option for solving the issue. Unless you have a spare key, avenues such as a hardware store are not going to be able to provide you with a duplicate once the key is already broken. 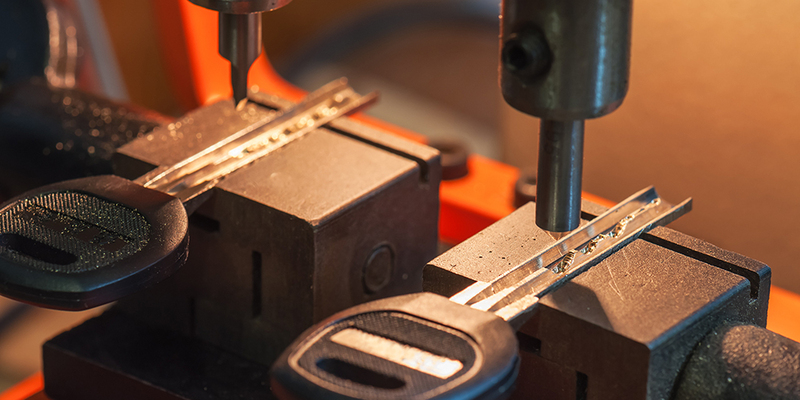 A locksmith will have key cutters and blanks for every type of car. If the key is worn or broken, there is no issue, as a new key can be cut from code. Where the dealership might rake you over the coals, in terms of price, a locksmith can deliver all the services you need at a more competitive rate. Ignition cylinder issues are some of the most difficult to detect and fix, and it is often overlooked when people are trying to figure out why their car won’t start or why their key won’t turn in the car ignition. Though it is possible to do this work yourself, a locksmith can solve any complications that rear their head. Replacing the ignition cylinder can get rather complicated in this specific case, where you can’t turn the key in the ignition. Taking the steering wheel covers off, or manipulating the key as needed can create many opportunities to damage your automobile further. When your car key won’t turn in the ignition, do not let that lead to needing a mechanic and a whole lot of money. Turn to a locksmith before things get out of hand. Diagnosing the reason your car key won’t turn in the ignition is the best way to begin the process of fixing the issue. If you cannot determine the problem your car is having, it is best to contact the professionals. Calling a locksmith is always a simple answer, but the rest of these simple solutions can get complicated depending on your skills and situation. Take care to contact a more seasoned technician before things move from a complicated fix to an expensive fix.